Polo tournament has been held annually here since 1936 in the first week of July between the teams of Gilgit-Baltistan and Chitral. Shandur Top is the highest polo ground in the world at 3,700 meters (the pass itself is at 3,800 meters). The festival also includes Folk music, dancing and a camping village is set up. Edited by Felicius, 23 April 2014 - 01:47 PM. Edited by Felicius, 23 April 2014 - 02:00 PM. 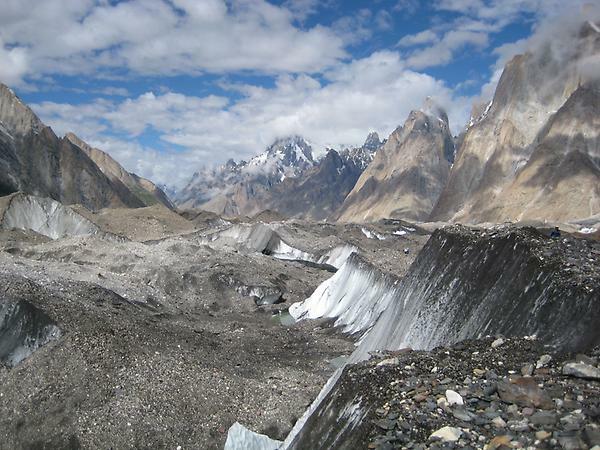 The Baltoro Glacier in the Karakoram, Kashmir, Northern Pakistan. At 62 kilometres (39 mi) in length, it is one of the longest alpine glaciers on earth. Edited by Felicius, 24 April 2014 - 09:29 AM. Edited by Felicius, 28 April 2014 - 12:06 PM. Edited by Felicius, 02 June 2014 - 06:49 PM. Run out of holiday destinations? Here's a beautiful corner in the northern areas you probably still haven't been to: Shigar. Shigar is a place in Gilgit-Baltistan where you will find a desert with proper sand dunes along with the rivers and shrubbery normally found in the region. At an altitude of 2800 meters, the valley is ensconced between snow-clad peaks; and has everything to offer from plains and meadows, to forests and trees laden with cherry, apple, apricot, mulberry and streams of cold, fresh water at just about every corner. Records show that this area was once called Little Tibet. But there isn't a single trace of Buddhist culture here today, neither in clothes nor in food. The approximately 70,000 people who live here are predominantly Shia. 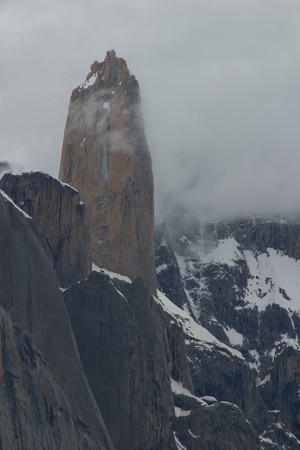 The valley is Pakistan's most well kept secret; it seemed to me the safest place in the country. No Taliban, no drones, no mobile snatchers and extortionists. Where else can a woman walk about town, any time of the day, and reach home without being ogled at, catcalled or touched?